Looking for an easy way to beat the heat this summer? Centralized air conditioning has been the answer for people in hot climates everywhere for decades. When you live in a house or unit that has air conditioning capability, there are a multitude of brand options available. Maytag is one of the world’s most popular air conditioning brands, and there are several models available. This article will cover the Maytag PSA1BG iQ Drive™ M1200 20-SEER Air Conditioner, including its features, specifications, pricing, pros and cons, and comparison to the competition. The Maytag PSA1BG iQ Drive™ M1200 20-SEER Air Conditioner is known for its energy-saving performance and iQ Drive® complete comfort system. SEER stands for Seasonal Energy Efficiency Ratio, which is the standard that most air conditioning units are judged by. It controls the interior temperature of your home and can also maintain consistent levels of humidity, ventilation, and air quality. The air conditioner works by circulating air through your home by mixing the air from the floor to the ceiling. You’ll be able to enjoy stable temperatures throughout your home due to the Maytag’s variable-speed technology. Maytag claims that thanks to the iQ Drive® comfort system’s sound levels and rotary compressor, this air conditioner runs so quietly that users may forget they even have one installed in their home. The quietness is contributed to the Maytag’s use of sound-reducing bases, swept-wing fan blades, and compressor blankets. Additionally, the rotary compressor runs at about 900 rpm on average, while most standard air conditioner compressors operate at a much louder 3,600 rpm. The Maytag’s minimal use of power is what provides a consistent temperature at all times. Maytag’s PSA1BG iQ Drive™ M1200 20-SEER Air Conditioner has multiple specifications worth knowing about. The iQ Drive® air conditioner system, for example, features a Samsung rotary compressor that provides five capacities from a two-stage thermostat. It also features an interface control board with a two-digit LED display that can provide the status of your machine and troubleshooting steps if necessary. The Maytag also features a service port with compressor and component access to make servicing the machine easier for contractors, high and low-pressure switches, and aluminum micro-channel coils designed to increase the machine’s reliability, durability, and heat transfer capabilities. Maytag air conditioners vary in price according to model. 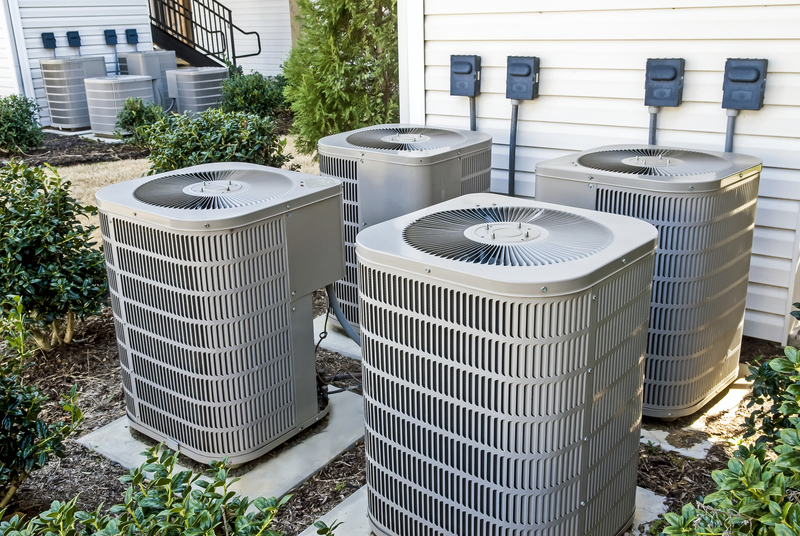 These days, the average air conditioning unit costs about $5,000 to install with cost factors affected by the machine’s size, performance, efficiency, and overall brand quality. On average, the Maytag PSA1BG iQ Drive™ M1200 20-SEER Air Conditioner costs between $2,875 and $3,625 for the machine only and between $4,075 and $5,625 for the machine and installation. Central air conditioning has been around long enough for numerous brands to claim to have the world’s best heating and cooling unit, so we put some of those brands to the test along with Maytag. To accurately compare Maytag to other brands, we selected three of the market’s other current frontrunners and ran a comparison based on price, quality, and other important factors. The Armstrong-brand air conditioner features a thermostat designed for optimizing indoor comfort in the quietest manner possible. This brand is widely known and praised for lasting throughout multiple hot summers, as it can last through temperatures up to 125 degrees Fahrenheit. The energy efficiency of this machine also goes up to 18-SEER. The current price range of the Armstrong air conditioner is $2,600 to $3,500, not including installation fees. These prices are slightly below the national average and about on par with the price range of the Maytag air conditioner brand, although the Maytag is slightly more expensive. Because a communication control board is available for this air conditioner model, we felt the need to give it a high rating. The control board technology enables the continuous monitoring of internal components, which safeguards optimum performance while preventing faulty operation. Most central air conditioning units are installed by an HVAC technician. The Armstrong, like the Maytag, is set up in the same manner as most other common air conditioning units. Because of this, there is usually not much difference in the assembly time of most HVAC units. Some customers have complained of the Armstrong being an exceptionally loud appliance. Additionally, if you’ve got a large space to keep cool, you may have to purchase at least two of these air conditioners to adequately cool down your home. The Armstrong air conditioner features a 10-year limited warranty on the compressor and a 10-year limited warranty on all other parts. There is also an extended warranty option available. This warranty offering is just slightly less than Maytag’s offering, but it’s still a pretty good warranty nonetheless. The Rheem air conditioner offers a minimum of 20-SEER energy efficiency and features a composite-base fan that dampens sounds and eliminates corrosion while reducing the number of fasteners needed. The modern design of this appliance also gives it an increased amount of curb appeal. Depending on the Rheem model you choose, this unit can cost anywhere between approximately $2,530 and $6,560, depending on if you opt for professional installation or for installing it yourself, though most people get HVAC units installed professionally. This price range is pretty standard with most HVAC units. Thanks to a QR code featured with the Rheem’s system, users can instantly provide servicers with technical information if there is ever a problem with the unit. There is also a diagnostic service window featured on the unit with a two-fastener opening, which provides users and technicians with access to high and low-pressure settings. The Rheem air conditioning unit follows the standard protocol of being installed by a trained HVAC technician. Although this model is slightly different from competitors in terms of aesthetic appearance, it will usually follow the same installation time as most standard HVAC units. The outer appearance of the Rheem air conditioner is what makes it quite popular among consumers, but the inner mechanics make it popular as well. This machine is known to run quietly and efficiently for years before needing a service. While it doesn’t beat the Maytag’s 12-year warranty offering, the Rheem offers the same 10-year limited warranty as Armstrong does. The main difference between Armstrong’s and Rheem’s warranty is that Rheem’s 10-year warranty covers conditional parts and conditional unit replacement. The Goodman brand is an up-and-comer in the HVAC world, but it’s still hugely popular in homes across North America, especially since all Goodman heating and cooling systems are built in the United States. This central air conditioning unit features an energy-efficient compressor, a factory-installed filter dryer, and a single-speed PSC condenser fan motor to keep things as quiet as possible while your home is being heated or cooled. Depending on the model size you’re looking for, you can expect to pay between $1,400 and $3,200 for a Goodman-brand air conditioning unit. These prices put the Goodman at an average price point compared to other brands. If you’re looking to save as much money as you can, the Goodman or Armstrong HVAC unit models will probably be your best bet, but if money isn’t an issue the Rheem air conditioner is also a viable choice. The brand didn’t coin the phrase “Thank Goodness for Goodman” for nothing. Customers love the user-friendliness of the Goodman HVAC unit, especially because once the unit is installed users don’t have to do much to keep it operating smoothly. Many customers have commented on the skills and professionalism of Goodman’s HVAC technicians, saying that the installation process was a breeze. With Goodman, there is no need for the customer to be involved in the installation of the HVAC unit, so as long as the technicians are of good quality, the customer should have a five-star assembly experience. The Goodman air conditioner features an astoundingly quiet condenser according to most customers, which speaks to the level of craftsmanship this HVAC unit has. Additionally, the exterior design of the unit is sturdy, unassuming, and easily withstands weather damage, unlike some units. It doesn’t beat Maytag’s 12-year warranty, but Goodman offers a five-year warranty for all standard parts and 10-year limited warranty for unit replacement, heat exchanger replacement, and replacement of all other functional parts. In 2005 the company became the only HVAC manufacturer to offer a lifetime limited warranty on the compressor, which inspired us to give Goodman’s warranty a high rating. The Maytag is a commendable air conditioning unit, but that doesn’t mean it’s perfect in every way. Despite its sales, enough people have had bad experiences with the product to warrant a list of upsides and downsides to the Maytag air conditioner. 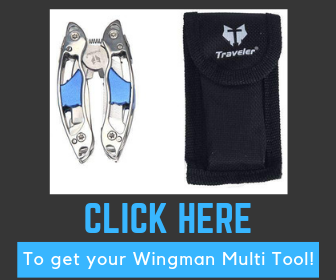 Some users and reviewers have spoken up about their compliments and dissatisfaction with the product, and based on our research of this model and competitive versions, we were able to create a pros and cons list of our own. One of the best things about the Maytag air conditioner is how quietly it runs. The machine’s energy efficiency and eco-friendliness is also a huge plus for most buyers. Another positive is Maytag’s dependability promise in the form of a 12-year warranty—you can’t get a warranty that good with most other appliances, let alone an air conditioning unit. Although the Maytag offers reduced and consistent levels of humidity, it’s important to note that for actual humidity control you’ll need to purchase a dehumidifier for your home. There is also the issue of the price, as these air conditioners may be considered highly expensive to a lot of people. 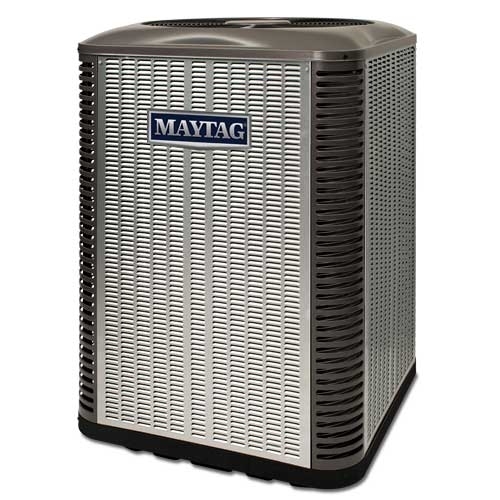 The Maytag PSA1BG iQ Drive™ M1200 20-SEER Air Conditioner is an all-around dependable air conditioning unit, complete with total temperature control and heating system for when the days get a little colder. They are built to last at least 20 years, which makes them a dependable appliance in our book. Although the competing brands are impressive, we believe the Maytag is just as high-quality and dependable as the other air conditioning units in our article. If you want to cool down your home this summer and keep it warm in the winter, the Maytag air conditioner really isn’t a bad way to go.